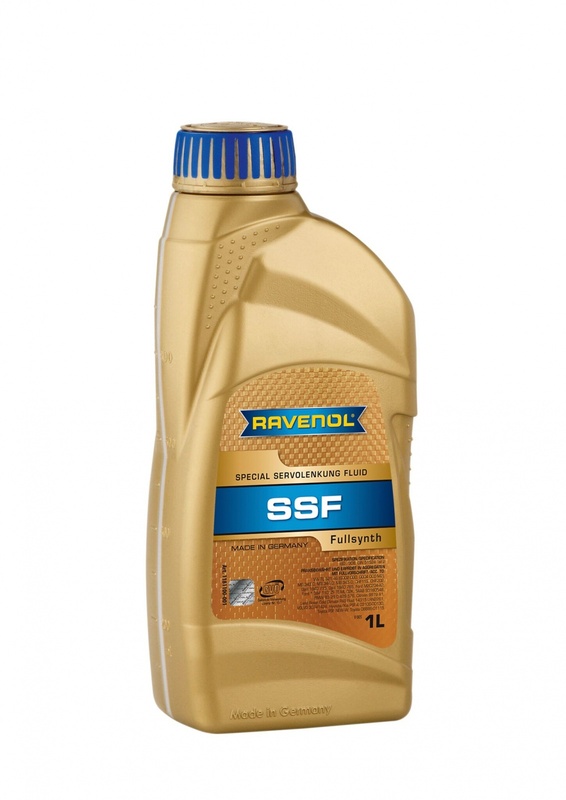 RAVENOL SSF Fluid is a special fully synthetic power steering fluid formulated using the latest additive technology. It is designed for use from -40°C to +100°C and is therefore recommended for the latest developments in the vehicle market. As a high performance central hydraulic fluid, it fulfils the requirements of Volkswagen Specification TL 521 46 for Volkswagen, Audi, Seat and Skoda applications, but is suitable many other vehicles, as detailed below. It more than fulfils the requirements of Land Rover Power Steering Fluid, STC 50519 PAS Fluid A (Active Cornering Enhancement). RAVENOL SSF Fluid can be used in power steering, rear axle steering, hydro-pneumatic suspension, shock absorbers, for active damping and engine protection, for hydrostatic fan drive, alternator and air conditioning, for stability and traction control systems (ABS/ ASR/ ASC), central locking, for electro-hydraulic convertible top control, and hydraulic brake boosters. Pleased that we could help! Thanks for the feedback. We bought Ravenol SSF Fluid on the advice of our local Land Rover garage. They stated it was a better product than the dealer product and was a lot cheaper. It's working fantastically well, and was delivered free of charge. Thanks Ravenol!